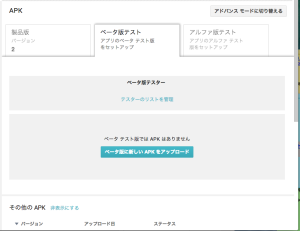 Google Play has beta test framework. 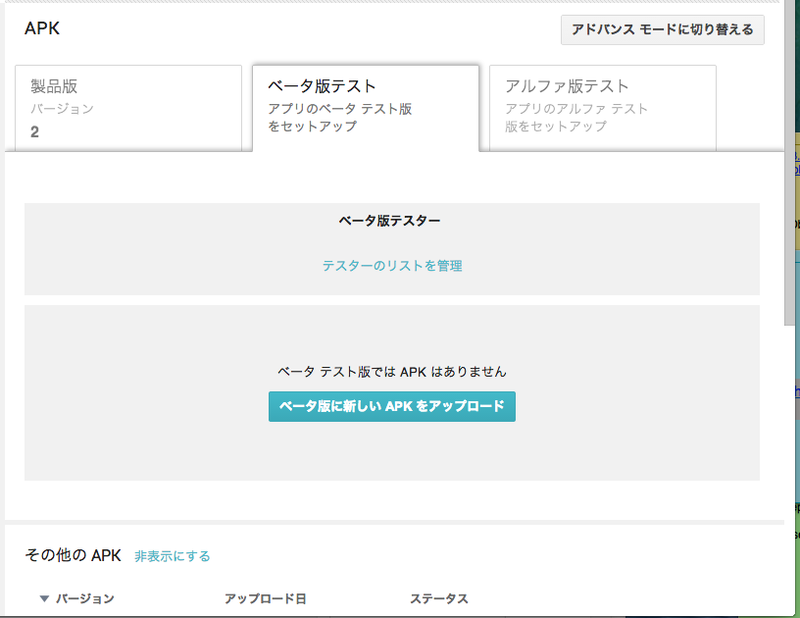 We can provide beta apk to tester. This post is about it. If you provide beta version, you need to create Google Group or Google+ community. Do you have an account of Google? Everybody who has Google Account can create new Google Group. The owner should not be google play account owner. Anyone is O.K. But Google Play account should join this Google Group, maybe. Add Google Group or Google+ community here. Also you need create APK with signed key not debug key. After registering test member, test URL is coming. This URL is for tester. Please share this URL for testers(email or any ways). The tester tap this link, and show up confirmation to be tester. Tap O.K., you become a tester. 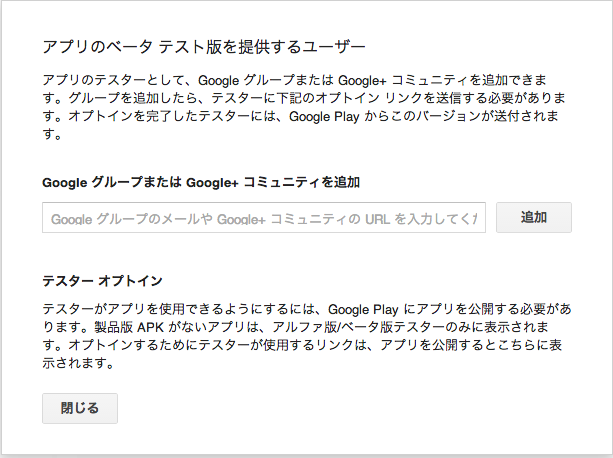 Let’s go Google Play and install. If you are a tester, you can see beta version description. So, you install from Google Play. To be a tester, we need following. At first, the testers need to join Google group. 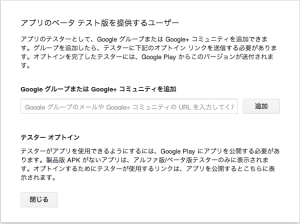 But, tester can see beta version software in Google Play. This is very easy. Did you keep Google Play URL of allowance? See this page again, and you can see unregister link on this page. You will do step several times because once we got member of testing, we cannot install product version. There are some points which should be careful.